I made a decision about 18 months ago to invest in a mid-career education upgrade. While this decision has come with financial impact and time management challenges, the opportunity to re-visit old skills with contemporary research has been a worthwhile investment. An intriguing paradox though is that the university where I’m studying communications demonstrates the best and worst examples of customer communications. Both units had a similar tutor-to-student ratio and belonged to the same faculty. When end-of-semester feedback was requested, I recommended the first unit for a university teaching award and then wrote a thousand words on the problems associated with the second unit. What’s Wrong with an Inconsistent Approach to Customer Communication? One of the biggest problems with this experience is what to say when I’m asked about the quality of this university. I don’t like saying it depends who you deal with or I don’t know. People are curious about returning to study after a long break (especially those of us over 40 who are hyper-aware of remaining relevant in today’s market). Mature-age students also tend to have more money to invest in themselves with the ABS stating that older students on average earn almost triple that of younger students. Universities are operated like businesses these days and there’s a lot of competition for the student dollar. The same principle applies in business. There’s a lot of competition in most market segments; even in this era of social media and online sales, people still rely on word-of-mouth as a valuable referral tool. This is a message for us: Is it depends who you deal with or I don’t know how you want your business to be described by customers? The growing emphasis on customer self-service can create confusion between a user experience and a customer experience. User experience, or UX, tends to refer to how a person feels when interfacing with a system such as a web site. A positive customer experience when navigating a system is valuable but it’s also important to maintain consistent and seamless levels of interpersonal communication. Measure the success of all forms of customer contact. Web site hits are easily measured for statistics such as how many visitors leave your web site soon after they land. How many visitors call after using your web site because they haven’t found what they’re looking for, or perhaps they have committed to purchasing but still want the human touch? Is all your marketing material consistent in its message regardless of the delivery method? Understand the customer journey. The word ‘journey’ tends to be overused for everything from reality television shows to my optometrist sending letters about my ‘eye care journey’, but it’s important to understand how customers perceive your organisation at every stage of contact. McKinsey & Co uses a three-phase approach to measuring customer satisfaction: the customer-journey consistency, emotional consistency and communication consistency. These elements form the way for customers to receive consistent attention regardless of the communication channel, to feel similar levels of satisfaction after every contact and to maintain positive perceptions about a company delivering on its promises. Train your staff in customer service regardless of their roles. New recruits might arrive with superior customer service skills but get them up to speed about how you want your customers to feel all the time. Customer service skills can benefit everyone from front-line staff to technical experts who are creating your electronic user experiences. Fix areas where you detect negative experiences. McKinsey & Co notes that one negative experience has a four to five times greater impact than a positive one. Everyone makes mistakes so ensure staff have the training and authority to address customers’ issues quickly. Look behind the scenes for causes of recurring problems and get them resolved. Take customer feedback seriously. Customers complain or make suggestions because they care; not every idea can be implemented but acknowledgement of customers’ contact goes a long way towards keeping them. I may not win the Apple watch up for grabs as a result of my thousand-word complaint, but I care about my education and want the university to care as much as I do. How do you rate your business for its overall customer experience? Do your competitors or peers use methods you can incorporate into your own strategy? 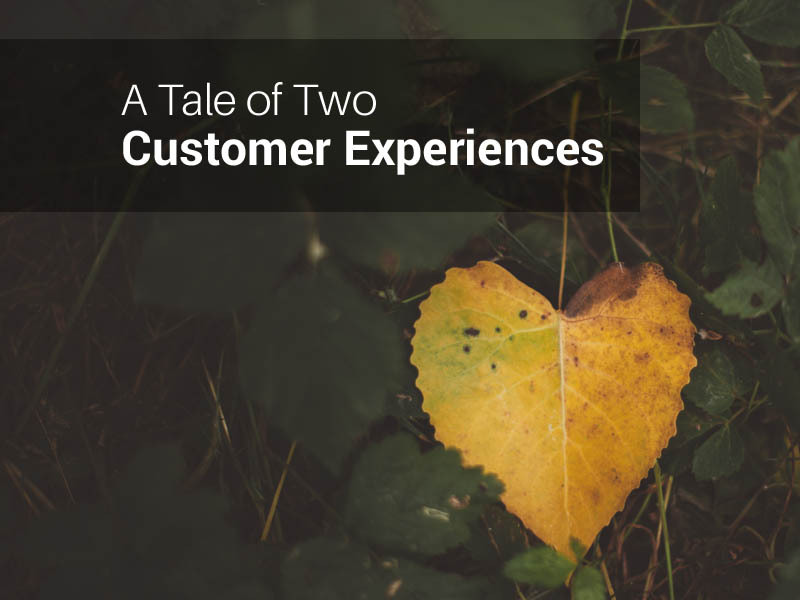 Do customers return after a encountering a problem because they appreciate how you fixed it?